Cash For Cars Westbury is paying the most money on Long Island for your car, truck, van or SUV from The Original Cash for Cars. Our appraisers are specialists in valuing your vehicle for above wholesale prices. What this means for you, our valued customers, is the most money for my car. We take pride in our fast friendly service ensuring that the customer has a stress free, easy and fast way to sell my car. We make it fun to get Cash For Cars Westbury. 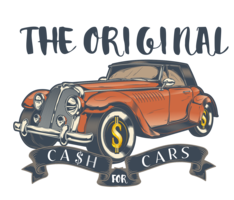 The Original Cash For Cars Westbury helps make the process to sell my car as simple as possible. You can contact us by filling out the easy form or calling us at 631-464-0404. What this means for you is a fast, easy way to sell a car and get cash in your pocket. Once you fill out the form, one of our trained appraisers will give you a firm quote on your vehicle. We ask that you be as accurate as possible when describing your vehicle. This ensures an accurate quote which will not change when our driver arrives. Once the driver looks over your vehicle, he will pay you and remove the vehicle from the premises. It really is that fast and easy. Eventually, we all have to say, it’s time to sell my car. We know you’re attached to your car…. we will treat it right…. until it gets to the crusher! Why not let The Original Cash For Cars clean out your driveway! Fast, easy, painless, and cash on the spot! Get TOP DOLLAR for Cash For Cars Westbury today, when you call or fill out our easy form on this and every page of our website. Contact us NOW! 631-464-0404.